I was looking at the recent announcement of the Raspberry Pi Zero, which costs something like 5 GBP per board and got wondering what else was available in terms of small computer boards reduced to bare minimum. One detail of Pi zero is the single-threaded CPU running at 1Ghz. That's not bad for something that costs less than a pizza. An interesting possibility is to create a computer cluster with inexpensive boards of this type but when looking at projects existing with the Pi, you need some 12 of them (or similar) to reach similar computation level of a laptop. So what is there of interest? After looking around for some days found the ODROID boards. The most recent model is the ODROID C1+ that comes equipped with a 1,5Ghz quad-core CPU, a gigabit network port and few other peripheral ports at a whooping price of 37 USD. The processor is ARM, meaning that Linux, FreeDOS and related operating systems can run on this board. Interesting enough, also learned of a special Windows 10 edition made available for the ARM. On this case, I'd just use the Linux version and figure out how to make a few of these boards to work together to crunch data faster than a single machine. It seems possible to order directly from their site, or if you prefer, from a local store in your country albeit with a bit extra cost on the retail price. 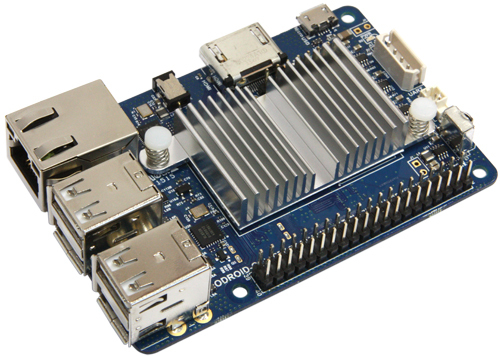 This odroid c1, price wise, but also performance wise is comparable to a RPI 2 is not it? Also, the community support is for me as important (if not more) than the raw specs. I am using RPI's for some time now and I am delighted by the projects, builds, etc around this product. Whereas these last months I have seen many RPI like project which died silently after a few month due to lack of support/followers. 900 MHz vs. 1.5 GHz? If you are looking for "pure computing" power or networking speed, no, they are not comparable. Another good point would be if you actually need more power (which somehow will translate in higher power consumption and heat generation). This is actually a very good point , power is nothing without control . Good find! Amazing stuff at a price tag of 15 USD. For my own context, I'd only use these inexpensive machines for running java in distributed mode. Community-wise, completely agree with you. Raspberry is doing an amazing work and for any other purpose such as general controller for other devices is quite usable. Just an update, I've ordered one of these machines together with some accessories. Price was 66 USD, delivery costs are 19 USD so the grand total was 85 USD or roughly 77 EUR in current exchange prices. The TFT can be placed directly on top of the single board computer, will check how good it is for output of information. 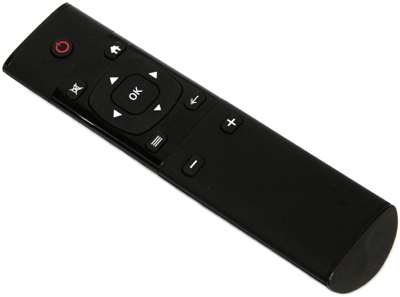 The remote control was more for fun, the board has a built-in IR receiver and from the site it seems that the remote is triggering keyboard presses, so it should be easy to integrate into software. Right now will test if these machines are good enough for real work, use them as CPU nodes for distributing the effort of computation. Bottleneck is passing data over network to avoid buying large storage cards (data to be processed is above 200Gb). A point of interest is to check if LAN boot is permitted. This would help to automate deployments if more boards are added on a cluster-type of thing. Looks good. 45 USD on kickstarter, CPU has 4 threads that seem capable of 1.3Ghz. Minus point is having to use a specific cable for power. The other boards usually go with the micro-usb option for power which makes it easy to power up. btw. Already got the Odroid at home. Had to pay some extra 33 EUR in taxes, which added to transportation costs makes the board quite pricey. Other than the tax and transportation costs, the machine itself is fairly good and robust. Was testing performance and was impressed. Really small, yet performs just like normal server machine. The manufacturer provides a custom Ubuntu image already setup with drivers, just plug in a micro-SD card and watch it boot through an HDMI cable. For 69 US$ (or so).